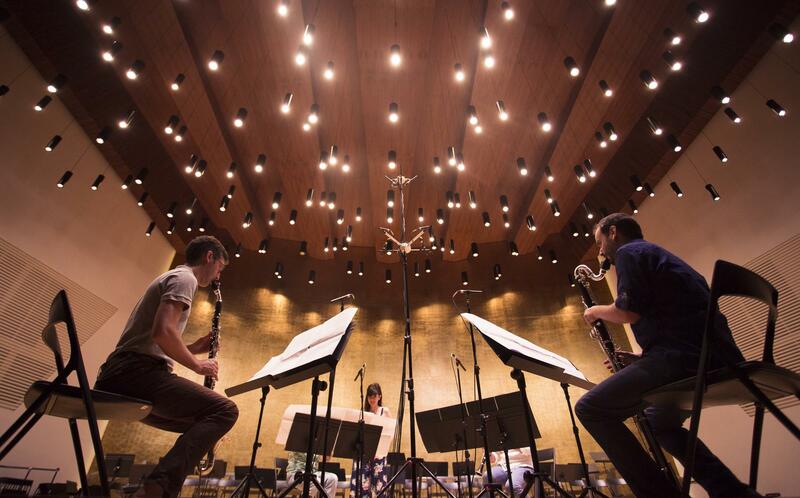 The Barcelona Clarinet Players join the Seed family with the publication of their CD “Offertorium”. The chamber group comprising Manuel Martínez, clarinet; Javier Vilaplana, clarinet; Martí Guasteví, basset horn; and Alejandro Castillo, bass clarinet, join the Seed family with the publication of their Book/CD Offertorium (Seed 005), which includes commissioned works (world premiere recording) by composers Joan Magrané, Bernat Vivancos, Carlos de Castellarnau, Raquel García Tomás and Josep Maria Guix. The album, due to be completed by the end of the the year, will be presented in concert in early 2019, and will follow in the steps of the Book/CD of the duo for piano four hands by pianists Carles Marigó and Marco Mezquida (Seed 004), to be published this coming autumn. Innovation, fusion, interdisciplinarity and pedagogy are some of the concepts that best define the Barcelona Clarinet Players (BCP). Their performances reflect meticulous attention to the details of chamber music, together with a very carefully thought out and energetic staging. We are delighted to welcome them into our musical family!